He died on the 10th of December at 3.30pm at an Intensive Care Unit at the King Faisal Specialist Hospital and Research Center in Jeddah Saudi-Arabia. Sources at the Hospital say that the First lady wants to keep the news secret for the next few days for personal reasons. At the time of his death he was surrounded by his wife, Turai and a childhood friend, Nigerian Member of Parliament. However, when huhuonline.com contacted Tanimu Yakubu, Chief Economic adviser to President Yar`dua, he said, “U re making me to break my silence on not responding again to recurring death wishes for President Umar Musa Yar'adua.I confirm that the story in the hyper link you referred me to is yet another death wish for President Umar Musa Yar'adua. 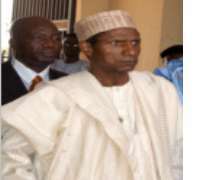 President Umar Musa Yar'adua is alive. Watch out for a proof shortly”. Continuing, Mr. Yakubu said, "Mr. President's friend in the National Assembly is Hon. Member of the Federal House of Representatives is Mallam Shehu Inuwa Imam representing Faskari Federal Constituency in Katsina State. This gentleman was in Nigeria on the day he was wished to have witnessed the President's death! Once again, I confirm that President Umar Musa Yar'adua is alive, feeling much better, mentally alert and home bound very soon by the grace of the Almighty God".